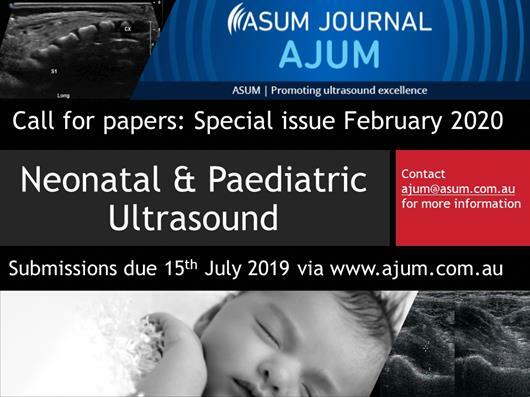 We’re thrilled to announce the February 2020 issue of the medical ultrasound journal AJUM will feature Neonatal and Paediatric Ultrasound. 1. It is your Society’s medical ultrasound journal that has a global reach (53% readers outside Aus/NZ). You don’t need to pay to publish your article in AJUM.